The following Terms and Conditions will apply exclusively to the current and future business relationships between United Business Association (UBA) and the member. In the event that any provision of these Terms and Conditions is unenforceable or invalid, such unenforceablity or invalidity shall not render these Terms and Conditions unenforceable or invalid as a whole. Any quotation or price information of UBA membership dues is without obligation and subject to change with thirty (30) days notice. Notice may be by mail or by last known email address. Your payment information is protected on a PCI-DSS certified secure server. The agreement entered between you and UBA is governed by the laws in the State of Texas. The State of Texas shall be the exclusive forum for any disputes arising out of this agreement. Both the member and UBA agree to the personal jurisdiction and venue of these courts in any action related to such agreement. As part of my terms and conditions of purchasing this membership plan, I am agreeing to register my permission to be placed on the United Business Association's member mailing list for either email newsletters or mailings. United Business Association periodically sends out important membership newsletters or notices concerning your membership as well as benefit and service updates which could include new benefit or plan offerings. UBA also maintains a page on our site to view membership newsletters we have previously sent to members. I agree that the email and mailing address provided on my membership application are the email and mailing address to be used as my registration for my permission to be included in United Business Association's member mailing list sent from either the Association: United Business Association, the TPA: H A Partners, Inc., or the Marketing Agency: Healthy America Insurance Agency, Inc. I maintain that I will grant this permission to be included on the United Business Association's member mailing list for either email newsletters or mailings until my membership is canceled. I understand that the United Business Association will not use my email or mailing address for any other purpose as to what is outlined above. If insurance is included in any UBA Plan, it is not basic health insurance or major medical coverage and does not qualify as minimum essential coverage M.G.L. c. 111M and 956 CMR 5.00 under the Affordable Care Act. You must be a member of United Business Association in order to access and enroll in association group insurance programs and to apply for association short term medical insurance. Various insurance companies, as described, have issued group insurance policies to the United Business Association as the group master policyholder. This is not a Medicare prescription drug plan. The range of discounts for membership will vary depending on the provider type and services provided. UBA cannot warrant or guarantee the performance of any discount or service. The United Business Association reserves the right to modify any benefits and services with a comparable benefit or service. If your state requires that we notify you of changes to your benefits, United Business Association will do so. Please review the membership guide for full benefits and services, terms, conditions, details, definitions, age limits, state availability and limitations. 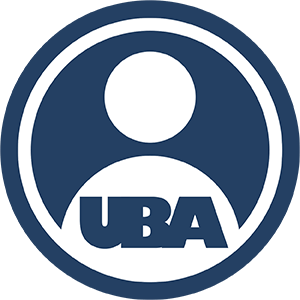 By selecting the UBA Membership Plan, you are enrolling in the United Business Association. Member's initial and recurring dues payment will be made via Bank Draft (EFT) or Credit Card (MasterCard or Visa). Subsequent dues will be drafted each month unless UBA is informed of your decision to cancel your membership. Also, recurring payments are made on the 5th of every month unless otherwise noted in your membership materials. Unless specifically set forth in a written agreement between you and UBA or as required by law, the goods and services purchased by you are provided "as is" without any representation or warranty of any kind. If you are not completely satisfied with your UBA Plan, please call your Personal Member Concierge at 866.438.4274. We will be happy to issue a complete refund of membership dues within the first thirty (30) days. We want you to be 100% satisfied with your UBA benefits and services. Please be aware that premium & dues can’t be refunded if a claim was filed. Note: This membership is separate from any other insurance or supplemental plans you have purchased. Please contact your agent for any plans other than a UBA Membership Plan. If you are canceling, please make sure to cancel using our cancellation phone number at 866.438.4274 or our cancellation form located at ubamembers.com/billing.html. Please do not cancel through your agent. Cancel directly with your Personal Member Concierge to make sure your cancellation request is handled promptly and correctly.